“… and we are singing, singing for our lives.” So goes the refrain of a song Holly Near wrote on the assassination of Harvey Milk in 1978. Thirty-five years later in churches across the world, when hymns of welcome are sung, we are still singing for our lives. For the past ten years, as part of my work to affirm to dignity of LGBTQ persons, and alongside the numerous essays I’ve authored, I’ve also written hymn texts. You know, cute rhyming couplets, resting on familiar church melodies and echoing some of the Bible stories many of us remember as kids. Yes. And no. These short poetic texts don’t make the sort of sustained eloquent arguments that my essays do, but at their best, hymns are participatory theology: they allow us to breathe our faith, filling our lungs and inviting God’s Wind to move through our voices as we sing. There is nothing cute about this. These hymns invite us to step into a life-altering, soul-transforming relationship with biblical images … and the Living God who stands behind them. You say “rhyme,” I say “revolution.” Each of these texts is its own self-contained moment of Pentecost: its own music-laden room beckoning a Mighty Wind to swirl around and sweep us up into God’s church-widening, community-fashioning blustery Breeze. And now it’s an album. To the Tune of Welcoming God – Hymns for a Church Hungry for Welcome features fifteen of my hymn texts. 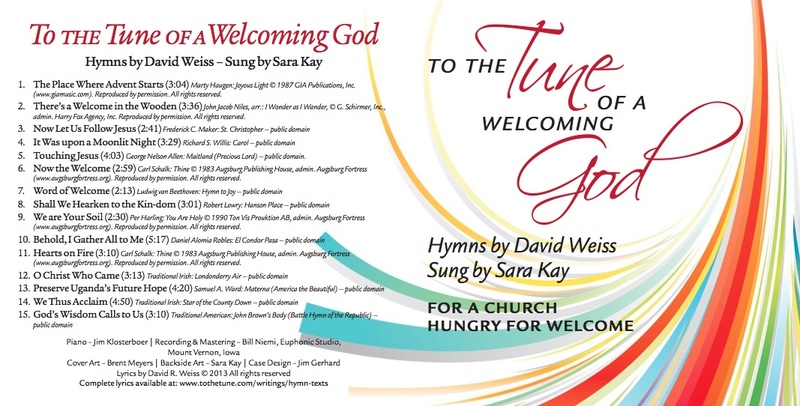 Beautifully interpreted by Sara Kay, a singer-song writer based in Iowa City (and a Luther College grad), these hymns make the wideness of God’s welcome hauntingly clear. They lift up biblical imagery so we see (and hear in our singing) how the very biblical themes of welcome and justice extend into our contemporary world—especially as we welcome LGBTQ persons into faith communities. 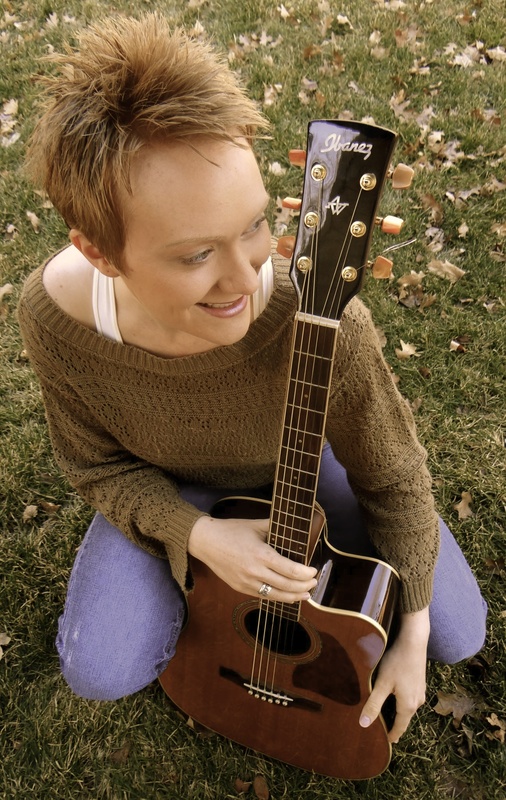 Because Sara’s own repertoire includes progressive Christian songs, she brings not only her voice, but also her heart and soul to these hymns. And because each new text is set to a familiar tune they’re immediately singable. You will enjoy listening to Sara’s singing, but I hope you find yourself—and your church—singing along. Well, an album … almost. That’s where YOU come in. It will cost us about $3200 to make this project a reality—which is really quite a bargain. You can see more details on my Kickstarter page. Those of you who know me and my work, know that I operate on something less than a shoestring. In order to get the gift of these hymns onto a recording and out into the world, I need to harness the power ($$$$) of many who believe in the merit of what I do. Sara and I need to raise at least one-third of our budget ($1066) through gifts pledged on Kickstarter. Honestly, if we can raise the whole budget, it will make my day, my week, my month, and my year.ally as we welcome LGBTQ persons into faith communities. Because Sara’s own repertoire includes progressive Christian songs, she brings not only her voice, but also her heart and soul to these hymns. And because each new text is set to a familiar tune they’re immediately singable. You will enjoy listening to Sara’s singing, but I hope you find yourself—and your church—singing along. “Singing for our lives.” Whether your point of reference is Nigeria or New York, Uganda or upstate Minnesota, the violence and threat to LGBT persons is so real that Holly Near’s words are not metaphor; they offer a determined witness to a visceral hope that is life or death to too many. But I believe that my hymns can harness that hope and make it a force for change. I’m running this Kickstarter campaign from the start of Pentecost season to the end of Pride weekend because both of these festivals are about God reaching out to claim God’s children and bring them home. In at least some cases, home is a church. And just maybe, at least some times, it’s a church singing my hymns. And YOU can help make that happen. Please do! Click here to go on to Kickstarter. Still uncertain? Read some of the praise we’ve already received. “David Weiss and Sara Kay’s intention is clear: to seed the church with grace.” ~Richard Bruxvoort Colligan, Musician & Liturgical Theologian, Author & Composer for The Psalm Project. Now, I hope you’ll click here to go on to Kickstarter! Just gave to this fine project. I hope that it is highly successful for you, David! Now let’s see others follow in my path for the goal of uniting people of all orientations under the banner of the infinite love of God. Congrats on all your great work, David! 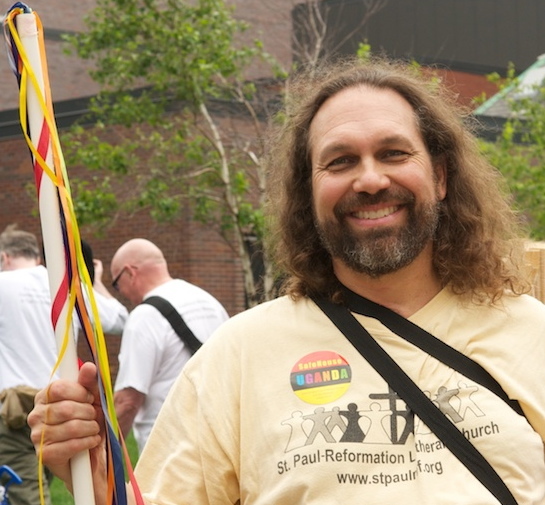 I heard that the folks showing up at the MN legislature for the vote on gay marriage were really wishing for some new spiritual/protest songs. Hope one or more of these fill the bill!